I have a little pigmented skin below my lower lip and faint post acne marks. I try my best to remove the pigmentation and acne marks but stubborn people not heeding to anything. 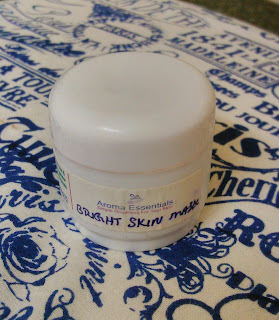 I tried the skin brightening mask from Aroma Essentials and am amazed at the effects. Read on to know my experience. Aroma Essentials believes in simple goodness for your skin. The products made by Aroma Essentials are free of artificial fragrances and ingredients. They are dermatogloically tested and not tested on animals. Moreover they are with small shelf life and freshly made to give your skin TLC. Lightens up skin tone and helps reduce pigmentation and blemishes. 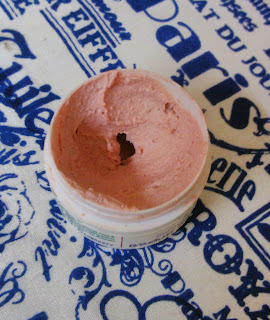 Apply thin layer allover the face and neck, keep for 10 minutes and rinse off with warm water. 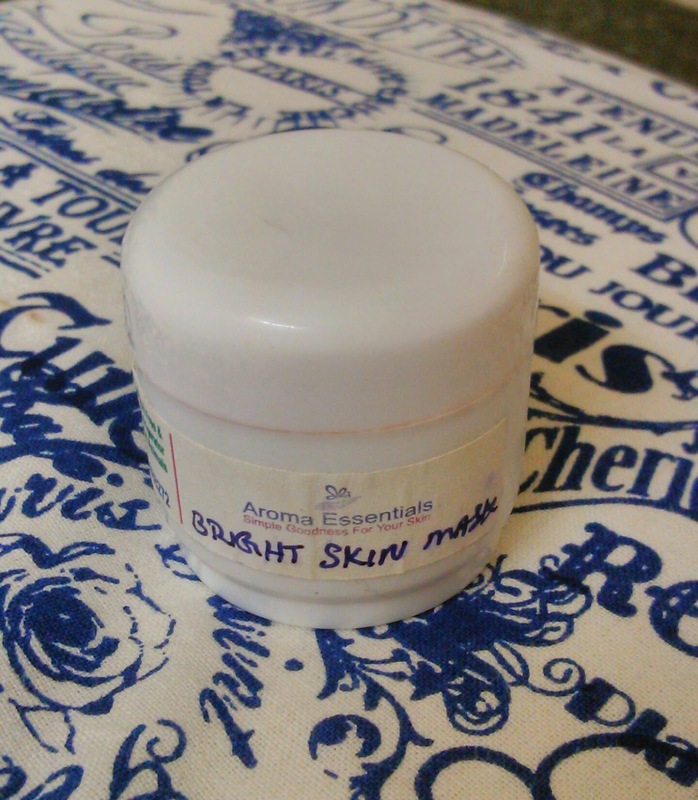 I used the skin brightening mask from Aroma Essentials, as I have little pigmentation below my lower lip. 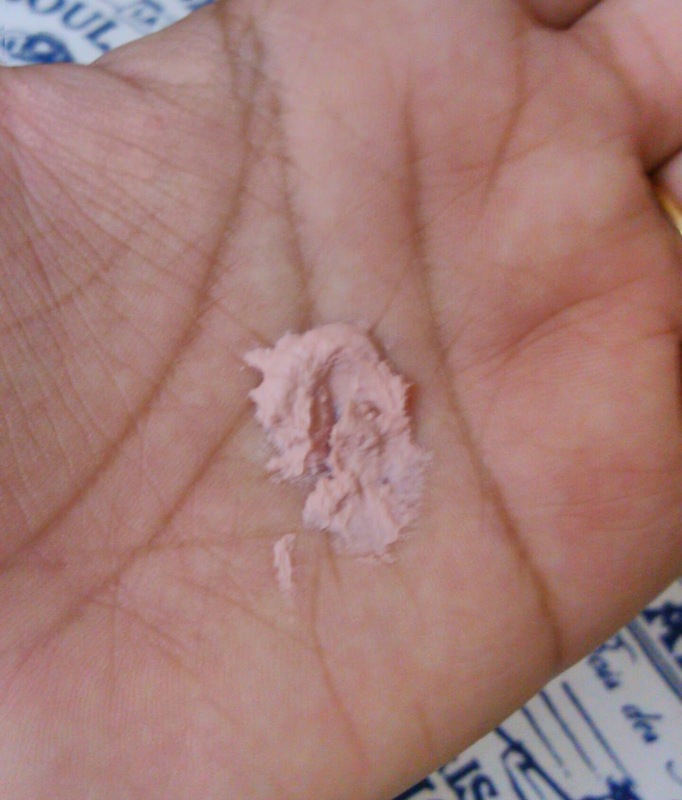 I tried this product in the hope of reducing the pigmentation. I firstly cleansed my face and toned it with a non-alcoholic toner. I applied a thin layer all over the face and neck. Since these products need to be stored in refrigerator firstly my skin felt cool as I applied the pack. After some time I had a little burning and tingling sensation. I think the pack was doing it's job :D.
After it dried I tried taking the mask off by rinsing with cold water. It didn't wash out easily. After that I rinsed with warm water and it immediately got washed off. After I washed my skin I felt as though my skin was hydrated and fresh. I felt a glow on face, but found noticeable effect on pigmentation after using the product for about 4 times till now. The mask is clay sort and has some lumps in it. The colour of the mask is peachy pink while the consistency is a little dry. The lumps make it hard to evenly apply the mask on face. It needs reapplication wherever it doesnt get applied properly. Available via ordering on Aroma Essentials Facebook page or emailing Aroma Essentials. The product does a good job without any false claims. 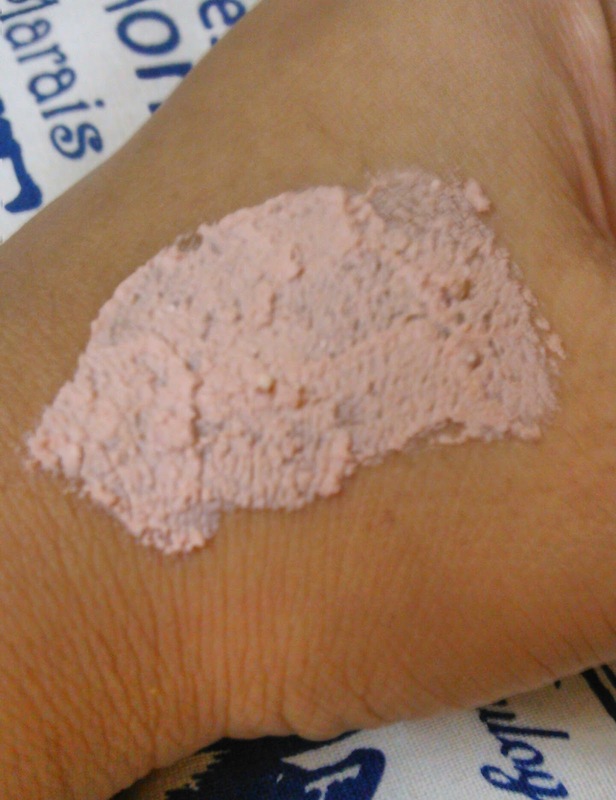 It gives subtle glow and shows effect on pigmentation after the very first use (very little though in first use) The mask has uneven texture which makes application not so easy. The mask should also have a little liquid consistency. The mask gives a little tingling and burning sensation after immediate application. It needs warm water for removal and hydrates the skin sufficiently! Repurchase - Yes am purchasing as it shows effects in first use only. Recommendations - Yes totally recommended as it doesn't dry out the skin and shows effects post first application. Tell me your experience of using your favourite face pack. And do suggest me some good options. Fellow bloggers please leave your latest post link in comments section below for me to checkout!